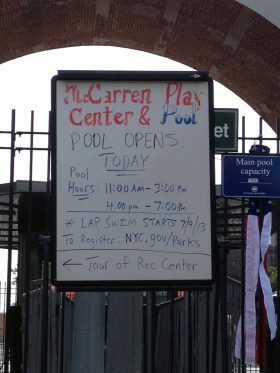 Not so at McCarren Park Pool, where swimmers were once made to evacuate the pool when a “brown cloud” dispersed within its waters. And that wasn’t the only cloud hanging over the pool last summer. Instances of lewd behavior sprang up multiple times alongside more sobering reports of assault and theft, which included a cop getting socked in the face, and lifeguards who were attacked by a bunch of rowdy, backflipping kids. But that wasn’t enough to deter swimmers when the pool reopened today. 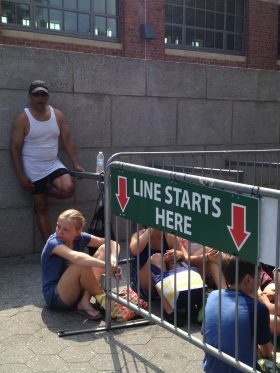 By 10:30 a.m., a sizable line had already formed outside its gates. 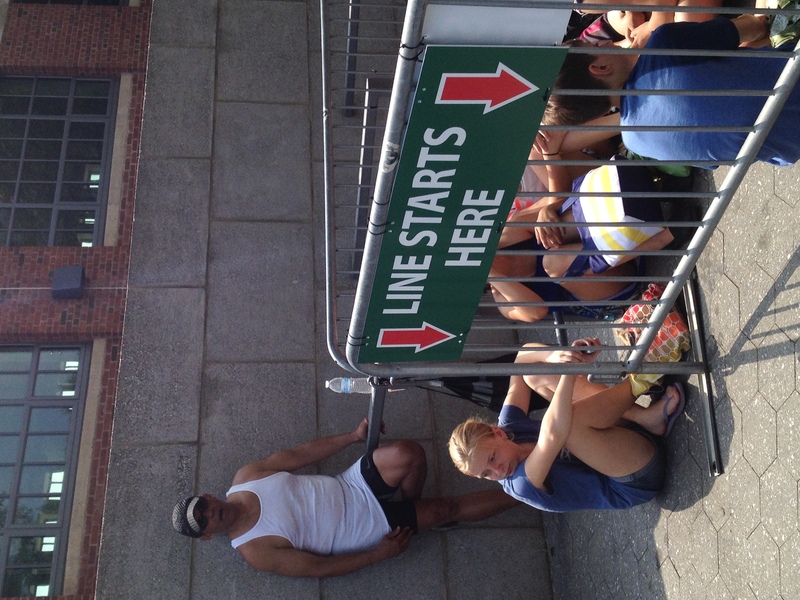 Lucille Quiles was waiting at the tail end of the queue with her two daughters and granddaughter. “When I was a little girl, I used to come here. It was beautiful. It’s still beautiful now,” she said. Quiles dismissed last year’s incidents as “just one or two fights, but that’s you know, kids. You get that everywhere.” She plans to come to the pool at least three times a week this summer. 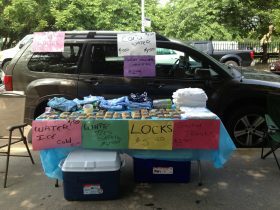 On the sidewalk, Nathaniel Lewis and his sales associate, Donald Folds, were peddling all the things you might need at a public pool: locks, swimming trunks, and (yes) Swimmies diapers. A spokesperson for the Parks Department said the agency has been working closely with the local precinct and with the NYPD’s Borough Command & Control Unit. 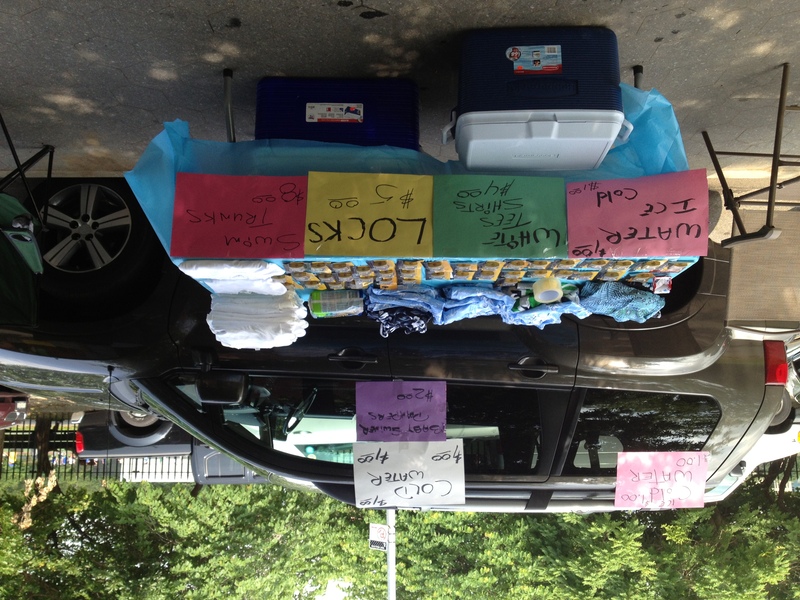 “In addition, Parks Enforcement Patrol officers are on hand to enforce the rules and ensure all pool-goers have a good experience,” she added. At 10:45 a.m., an NYPD van rolled up across the street, and a squadron of eight cops filtered out. They declined to comment but looked serious as they huddled just outside the entrance. One of the original eleven WPA pools built in 1936, McCarren Pool fell into disrepair along with everything else in the ’80s. Though it was supposed to undergo renovations in 1984, those plans were halted when Greenpoint residents protested that the pool was overrun by drug dealers, prostitutes, and perhaps worst of all, unruly teenagers. This year, people generally seem optimistic and excited to play in the water. 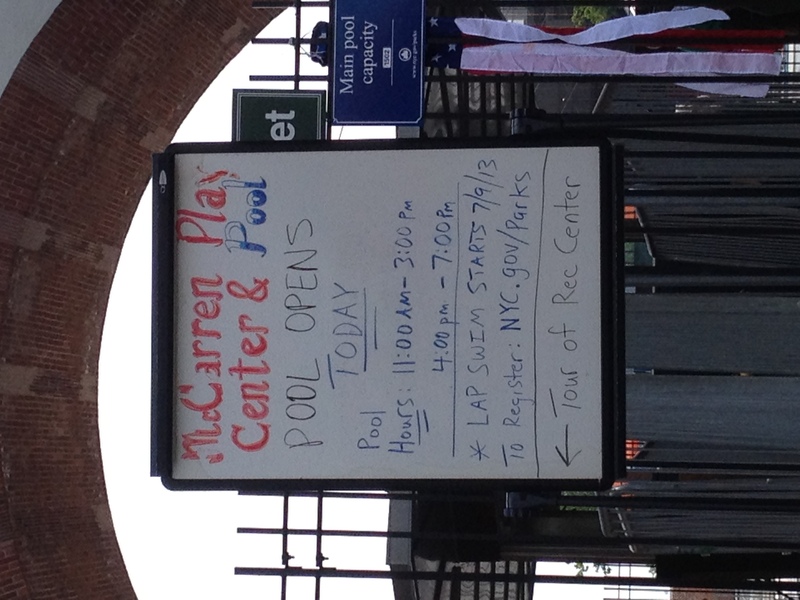 Better luck this time, McCarren Pool.